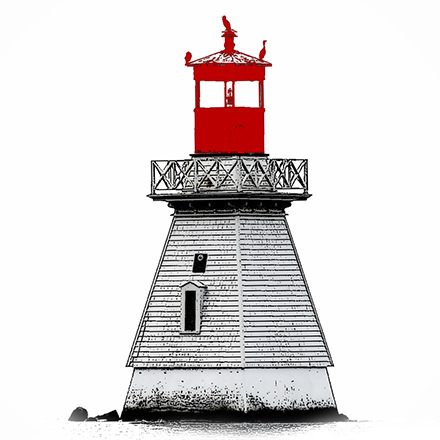 The name Lake Rosseau North Association and the Lighthouse logo are trade marks and/or service marks of Lake Rosseau North Association ( hereinafter referred to as LRNA). Unless otherwise noted on the Site, all other trade marks, service marks, and logos used in this Site are the trade marks, service marks or logos of their respective owners. 2.1 Licence. Subject to the terms and conditions of this Agreement, and until termination of the Agreement, LRNA grants you a non-exclusive, non-transferable, limited licence to view or print the Content in this Site without alterations, for personal, non-commercial use only. This limited licence does not apply to any media or platform other than that of the current Site. 2.2 Ownership. All Content on the Site is (and shall continue to be) owned exclusively by LRNA and is protected under applicable copyrights, patents, trade marks, trade dress, and/or other proprietary rights, and the copying, redistribution, use or publication by you of any such Content or any part of the Site is prohibited. Under no circumstances will you acquire any ownership rights or other interest in any Content by or through your Site Use. 3.1 Prohibited acts. Concerning your Site Use or any Content, you agree not to knowingly: (i) use any device, software or technique to interfere with or attempt to interfere with the proper working of the Site; (ii) post or transmit to the Site any unlawful, fraudulent, harassing, libellous, or obscene Information of any kind; (iii) post or send to the Site any Information that contains a virus, bug, or other harmful item; (iv) publish, perform, distribute, prepare derivative works, copy, reverse engineer, or use the Content (other than as expressly permitted herein); (v) post or transmit into or on the Site any Information in violation of another party’s copyright or intellectual property rights; (vi) take any action which imposes an unreasonable or disproportionately large load on LRNA’s infrastructure; (vii) redeliver any of the Content using “framing”, hyperlinks, or other technology without express written permission; or, (viii) use any device or technology to provide repeated automated attempts to access password-protected portions of the Site. 3.2 Right to regulate. You acknowledge that LRNA has the right, but no obligation, to monitor the Site and to disclose any Information necessary to operate the Site, to protect LRNA and its members, and to comply with legal obligations or governmental requests. LRNA reserves the right to refuse to post or to remove any Information on the Site, in whole or in part, for any reason. 3.3 Compliance with law. You agree to comply with all governmental laws, statutes, ordinances, and regulations (including unfair competition, anti-discrimination or false advertising) regarding your Site Use. 4.1 Secure payment area. If you are allowed access to make payment for membership through the website, you hereby acknowledge that LRNA has taken reasonable steps to ensure the privacy and safety of your personal information. 4.2 You acknowledge that (i) the internet is a network of computers worldwide, and that any Information submitted by you to LRNA necessarily is routed via third party computers to LRNA (ii) LRNA is not responsible for lapses in online security and does not assume liability for improper use of your Information by a third party. 5.1 DISCLAIMER OF WARRANTY. LRNA AND ALL CONTENT PROVIDERS MAKE NO REPRESENTATION ABOUT THE SUITABILITY OF THE CONTENT HEREON. THIS SITE, AND ACCESS TO ANY LINKED-SITE, IS PROVIDED TO YOU BY ALL CONTENT PROVIDERS “AS IS” AND “AS AVAILABLE”, WITH NO REPRESENTATIONS OR WARRANTIES OF ANY KIND, EITHER EXPRESSED OR IMPLIED, INCLUDING, BUT NOT LIMITED TO THE IMPLIED WARRANTIES OR CONDITIONS OF MERCHANTABILITY, FITNESS FOR A PARTICULAR PURPOSE, ACCURACY, AND NON-INFRINGEMENT. YOU HEREBY DISCLAIM ALL WARRANTIES BY LRNA RELATING TO YOUR SITE USE. YOU ACKNOWLEDGE THAT YOUR ACCESS TO THE SITE WILL NOT BE FREE OF INTERRUPTIONS, THAT THE INFORMATION HEREIN MAY CONTAIN BUGS, ERRORS, TECHNICAL INACCURACIES, PROBLEMS OR OTHER LIMITATIONS, AND THAT THE SITE MAY BE UNAVAILABLE FROM TIME TO TIME. YOU ASSUME TOTAL RESPONSIBILITY AND RISK FOR YOUR SITE USE AND SITE-RELATED SERVICES. 5.2 LIMITATION OF LIABILITY. UNDER NO CIRCUMSTANCES WILL ANY OF THE CONTENT PROVIDERS BE LIABLE OR RESPONSIBLE FOR ANY DIRECT, INDIRECT, INCIDENTAL, CONSEQUENTIAL (INCLUDING DAMAGES FROM LOSS OF BUSINESS, LOST PROFITS, LITIGATION, OR THE LIKE), SPECIAL, EXEMPLARY, PUNITIVE OR OTHER DAMAGES, UNDER ANY LEGAL THEORY, ARISING OUT OF OR IN ANY WAY RELATING TO THE SITE, YOUR SITE USE, OR THE CONTENT, EVEN IF ADVISED OF THE POSSIBILITY OF SUCH DAMAGES. YOUR SOLE REMEDY FOR DISSATISFACTION WITH THE SITE AND/OR CONTENT IS TO CEASE ALL OF YOUR SITE USE.